An A-10 Thunderbolt II goes through phase maintenance March 13 at Eielson Air Force Base, Alaska. Phase maintenance is an overhaul of the entire aircraft which ensures it is ready for safe flight. 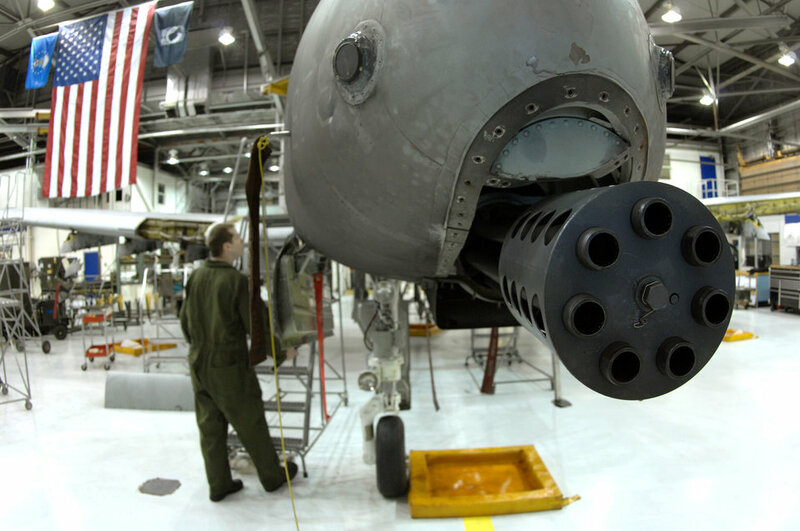 A-10 pilots use a 30mm GAU-8/A 7-barrel Gatling gun as their primary weapon for disabling enemy ground targets. The gun can fire 3,900 rounds per minute.